BANDAI SPIRITS: You Too Can Find out “What Would Happen If Kirby Inheld You In...” with This 38 cm Tall Plushy! 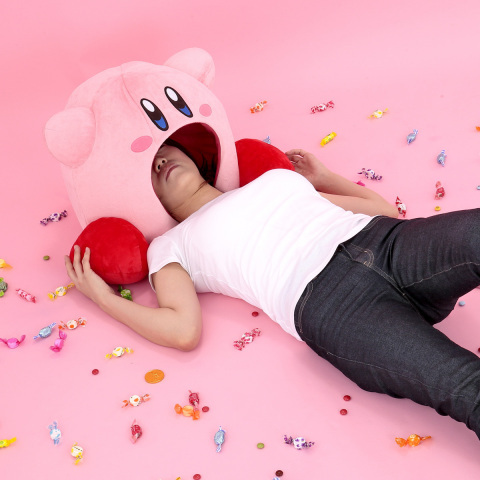 TOKYO--(BUSINESS WIRE)--From the Kirby series of games comes “SUIKOMI Kirby” a plushy of Kirby mid-inhalation. It’s now available to preorder on Bandai’s official online shopping site “Premium Bandai” (https://p-bandai.com/us?utm_source=release&utm_medium=release&utm_campaign=1220kirby) for $96.99 (plus tax and S/H). Preorders will run from 12:00 AM (EST) on December 18, 2018 to 8:00 AM (EST) on January 6, 2019. Pre-Order Period: from 12:00 AM (EST) on December 18, 2018 to 8:00 AM (EST) on January 6, 2019. • Seller: Bandai Co., Ltd.
From now until December 25, 2018, all orders at Premium Bandai are $25 off as part of our Christmas Sale. This includes SUIKOMI Kirby, Gundam uniform jackets pulled strait from the anime, and an assortment of JoJo’s Bizarre Adventure accessories. However, all these items are preorder only, so get them now before they’re gone!